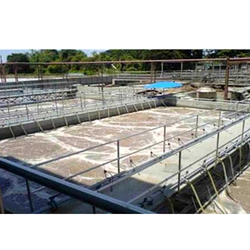 Leading Manufacturer of effluent treatment plant from Ghaziabad. As one of the leading entity of this domain, we are engrossed in providing supreme quality Effluent Treatment Plant. This plant is comprised of a variety of filters, pollution retention system, and high rate of COD. The offered treatment plant removes 90% of salt from the water. Also, the plant is equipped with RO system, high pressure pump, and recycling system.